Refacing your kitchen and bathroom cabinets is an important investment. We want you to make the right decision. When you select Holiday Cabinets, you gain peace-of-mind knowing that we continually review our product quality, from each component piece through our state-of-the-art finishing process. In the world of home remodeling, the phrase “cabinet refacing” has earned the title as the fast and affordable way to give your kitchen a brand new look without tearing out your current cabinets. Imagine having your dream kitchen in as little as 3-4 days compared to 6-12 weeks with a tearout and at the same time saving thousands of dollars compared to replacement cabinetry. Since it is usually the doors that start to show most of the wear, it makes no sense to rip out a perfectly good kitchen which destroys your flooring, countertops as well as walls and ceilings. It doesn’t matter what your current cabinets look like, whether they are wood or a laminate such as Formica. Now is the perfect time to completely change the look of your kitchen and have fun while doing so. Choose from a variety of door styles crafted from high-quality hardwoods such as cherry, oak, maple and walnut, as well as hundreds of laminates. You may also consider the beauty and easy maintenance of thermofoil doors. 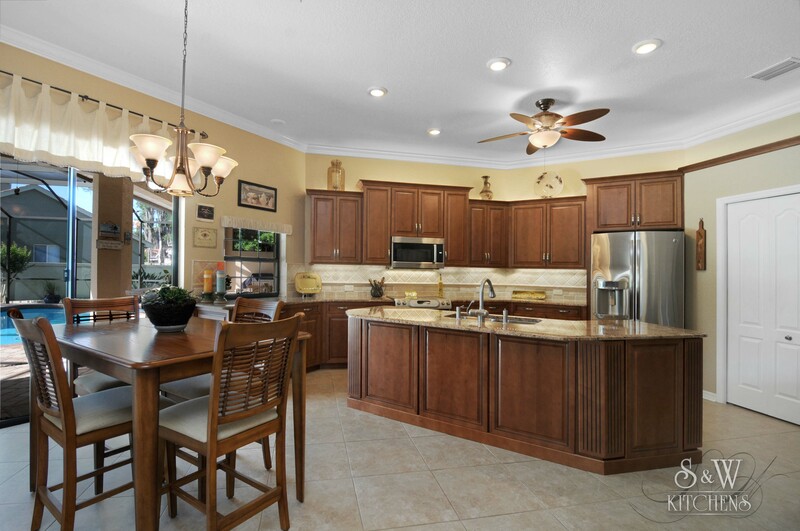 Want to remodel your kitchen but think it would be too costly? Then consider kitchen cabinet refacing. The cost of kitchen cabinet refacing is typically less than the cost of completely tearing out your kitchen and in a much shorter time period. As a matter of fact, depending on the size of the kitchen it can be done in as little as three to four days. Thousands of dollars can be saved as most kitchen cabinet refacing remodels are less than the cost of a good quality new kitchen and require less construction. In Addition to refacing, this may be the perfect time to make some other changes to your kitchen. Not only will you have a beautiful, new refaced kitchen, but you can also incorporate other contemporary components such as new countertops, convenient rollout shelving, additional cabinets, brand new drawers with glides, and cabinet modifications for new appliances. We can also assist you with new sinks and faucets as well as installing them for you.